Bruce Grohsgal is the Helen S. Balick Professor in Business Bankruptcy Law and joined the faculty in July 2014. He received his B.A. from Brandeis University in 1977 and his J.D. from Columbia Law School 1980, where he was a Stone Scholar. 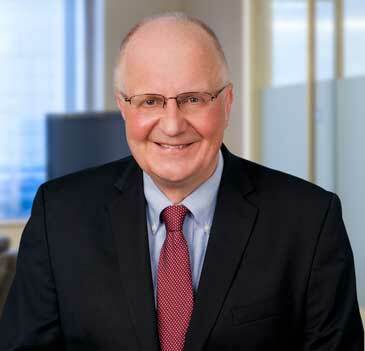 He most recently was a partner in the Wilmington, Delaware office of Pachulski Stang Ziehl & Jones, LLP, and has represented debtors, creditors’ committees, and trustees in chapter 11 bankruptcy cases and litigation, including the debtors in Solyndra, Global Home Products/Anchor Hocking/Mirro/WearEver, Chi Chi’s and Trans World Airlines, the creditors’ committees in Freedom Communications (Orange County Register) and Jevic Transportation, and the chapter 11 trustee in Le-Nature’s. He previously was a partner in Wolf Block Schorr & Solis-Cohen, LLP, in Wilmington and Philadelphia. He is admitted to practice in Delaware, Pennsylvania and New York. Professor Grohsgal was a Senior Fellow at Americans for Financial Reform, Washington, D.C., from October 2012 to January 2013, while on Sabbatical from his former firm. He was the Chair of the Bankruptcy Section of the Delaware State Bar Association in 2008-2009. He has spoken on numerous bankruptcy topics, including “first day” hearings, going concern and other asset sales, executive compensation, derivatives, repos and financial instruments in bankruptcy, and chapter 11 developments. The rules that govern the people of any society must serve their collective aspirations and be just, both in their inception and in their application to each person. Lawyers play a central role in the quest to ensure that these rights are realized. Delaware has long recognized and acted on the belief that the best legal system is that which is being constantly improved, both substantively and procedurally, to achieve these ends. Bankruptcy, Contracts, Sales and Leases, Secured Transactions, Financial Regulation. Absolute Priority Redux: Control Premiums and Collusion, Market and Hypothetical Valuations, Certainty and Uncertainty, and the Applicability of the Absolute Priority Rule to First Day Orders, Pre-Plan Settlements, and Structured Dismissals Post-Jevic, submitted and accepted for publication in 9 Wm. & Mary Bus. L. Rev. (2018). How Absolute is the Absolute Priority Rule in Bankruptcy? The Case for Structured Dismissals, 8 Wm. & Mary Bus. L. Rev. 439 (2017), also available at SSRN. Colder Than a Landlord’s Heart? Reconciling a Debtor’s Authority to Sell Property Free and Clear of a Lease Under Bankruptcy Code Section 363(f) with the Tenant’s Right to Remain in Possession on a Lease Rejection under Section 365(h), 100 Marq. L. Rev. 295 (2016), also available at SSRN. Written Testimony on H.R. 1667, the “Financial Institution Bankruptcy Act of 2017, before the House Judiciary’s Subcommittee on Regulatory Reform, Commercial and Antitrust Law (March 23, 2017). The attached written testimony and a recording of the oral testimony from the hearing are available at https://judiciary.house.gov/hearing/subject-h-r-___-financial-institution-bankruptcy-act-2017/. Written Responses to Questions for the Record submitted to the House Judiciary’s Subcommittee (May 17, 2017), following the March 23, 2017 hearing on H.R. 1667, the “Financial Institution Bankruptcy Act of 2017. Does the Financial Institution Bankruptcy Act of 2017 (FIBA) Undermine the Effective Restructuring of a Failing Financial Institution? Harvard Bankruptcy Roundtable (June 13, 2017), available at http://blogs.harvard.edu/bankruptcyroundtable/, with a link to the March 23, 2017 House written testimony listed under “Publications and Congressional Testimony – July 1, 2014 to Present” above. How a GOP Bill Could Cause the Next Financial Crisis, Politico (April 26, 2017), with Simon Johnson, available at http://www.politico.com/agenda/story/2017/04/26/how-a-gop-bill-could-cause-the-next-financial-crisis-000428. How Absolute is the Absolute Priority Rule in Bankruptcy? The Case for Structured Dismissals, Harvard Bankruptcy Roundtable (November 1, 2016), available at http://blogs.harvard.edu/bankruptcyroundtable/2016/11/01/how-absolute-is-the-absolute-priority-rule-in-bankruptcy-the-case-for-structured-dismissals/, with a link to the William & Mary Business Law Review article listed above. Why Recent SPOE Bills for SIFIs Fail, 33-DEC Am. Bankr. Inst. J. 10 (December 2014). The Case in Brief Against Chapter 14, Harvard Bankruptcy Roundtable (June 17, 2014), available at http://blogs.harvard.edu/bankruptcyroundtable/2014/06/17/the-case-in-brief-against-chapter-14/. Executive Compensation and the Great Recession, Delaware Lawyer, 28-FALL Del. Law. 24 (Fall 2010) (with Gregg M. Galardi). Chrysler: A One-off, or the Shape of Things to Come? Norton Bankruptcy Advisor, September 2009 (with Judge Lawrence S. Walter, Judge Leif M. Clark and Rob Charles). Vendors Win New Protections in Bankruptcy Amendments, The Journal of Corporate Renewal (August 2005). New Law Deals Severe Blow to KERPs, Severance Programs, The Journal of Corporate Renewal (August 2005). Hotel Revenues under the Bankruptcy Reform Act, 14-APR Am. Bankr. Inst. J. 20 (April 1995). Landlord’s Lease Rejection Under the Bankruptcy Reform Act of 1994, 13-JAN Am. Bankr. Inst. J. 20 (January 1995). The Twilight Zone of HMO Insolvencies, 13-MAY Am. Bankr. Inst. J. 22 (May 1994). Whose Pension is it Anyway? – ERISA and the Bankruptcy Code, 97 Com. L.J. 12 (1992) (with Marvin Krasny). Critical Issues in Single-Asset Real Estate Bankruptcies, Real Estate Review, vol. 22, no. 2 (Summer 1992) (Robert A. Silverman). Contributing Editor and Author, Chapter 13, Abandonment of Property of the Estate, Norton Bankruptcy Law and Practice, 3rd ed. 2008. Contributing Editor and Author, Chapter 74, Power of the Court, Norton Bankruptcy Law and Practice, 3rd ed. 2008. Contributing Editor and Author, Chapter 102, Elections for Secured Claimants, Norton Bankruptcy Law and Practice, 3rd ed. 2008. Contributing Editor and Author, Chapter 109, Plan Contents and Classification, Norton Bankruptcy Law and Practice, 3rd ed. 2008. Sections 363 and 364 – Use, Sale or Lease of Property and Obtaining Credit, Chapter in print edition of Norton Annual Survey of Bankruptcy Law (2017), 2017 Ann. Surv. of Bankr. Law 19 (with Peter J. Keane and Joseph M. Mulvihill). Sections 542 and 543 – Turnover of Property of the Estate, Chapter in print edition of Norton Annual Survey of Bankruptcy Law (2017), 2017 Ann. Surv. of Bankr. Law 29 (with Gregory J. Flasser). Sections 363 and 364 – Use, Sale or Lease of Property and Obtaining Credit, Chapter in print edition of Norton Annual Survey of Bankruptcy Law (2016), 2016 Ann. Surv. of Bankr. Law 17 (with Peter J. Keane). Sections 542 and 543 – Turnover of Property of the Estate, Chapter in print edition of Norton Annual Survey of Bankruptcy Law (2016), 2016 Ann. Surv. of Bankr. Law 26 (with Gregory J. Flasser). Sections 363 and 364 – Use, Sale or Lease of Property and Obtaining Credit, Chapter in print edition of Norton Annual Survey of Bankruptcy Law (2015), 2015 Ann. Surv. of Bankr. Law 17 (with Peter J. Keane). Sections 542 and 543 – Turnover of Property of the Estate, Chapter in print edition of Norton Annual Survey of Bankruptcy Law (2015), 2015 Ann. Surv. of Bankr. Law 26 (with Margaret E. Juliano). Sections 363 and 364 – Use, Sale or Lease of Property and Obtaining Credit, Chapter in print edition of Norton Annual Survey of Bankruptcy Law (2014), 2014 Ann. Surv. of Bankr. Law 17 (with Peter J. Keane). Sections 542 and 543 – Turnover of Property of the Estate, Chapter in print edition of Norton Annual Survey of Bankruptcy Law (2014), 2014 Ann. Surv. of Bankr. Law 26. Sections 363 and 364 – Use, Sale or Lease of Property and Obtaining Credit, Chapter in print edition of Norton Annual Survey of Bankruptcy Law (2013), 2013 Ann. Surv. of Bankr. Law 22 (with Peter J. Keane). Sections 542 and 543 – Turnover of Property of the Estate, Chapter in print edition of Norton Annual Survey of Bankruptcy Law (2013), 2013 Ann. Surv. of Bankr. Law 31. Sections 363 and 364 – Use, Sale or Lease of Property and Obtaining Credit, Chapter in print edition of Norton Annual Survey of Bankruptcy Law (2012), 2012 Ann. Surv. of Bankr. Law 22. Sections 542 and 543 – Turnover of Property of the Estate, Chapter in print edition of Norton Annual Survey of Bankruptcy Law (2012), 2012 Ann. Surv. of Bankr. Law 30. Sections 363 and 364 – Use, Sale or Lease of Property and Obtaining Credit, Chapter in print edition of Norton Annual Survey of Bankruptcy Law (2011), 2011 Ann. Surv. of Bankr. Law 23. Sections 542 and 543 – Turnover of Property of the Estate, Chapter in print edition of Norton Annual Survey of Bankruptcy Law (2011), 2011 Ann. Surv. of Bankr. Law 33. Sections 363 and 364 – Use, Sale or Lease of Property and Obtaining Credit, Chapter in print edition of Norton Annual Survey of Bankruptcy Law (2010), 2010 Ann. Surv. of Bankr. Law 22. Sections 542 and 543 – Turnover of Property of the Estate, Chapter in print edition of Norton Annual Survey of Bankruptcy Law (2010), 2010 Ann. Surv. of Bankr. Law 31. Sections 363 and 364 – Use, Sale or Lease of Property and Obtaining Credit, Chapter in print edition of Norton Annual Survey of Bankruptcy Law (2009), 2009 Ann. Surv. of Bankr. Law 25. Sections 542 and 543 – Turnover of Property of the Estate, Chapter in print edition of Norton Annual Survey of Bankruptcy Law (2009), 2009 Ann. Surv. of Bankr. Law 33. Sections 363 and 364 – Use, Sale or Lease of Property and Obtaining Credit, Chapter in print edition of Norton Annual Survey of Bankruptcy Law (2008), 2008 Ann. Surv. of Bankr. Law 25. Sections 542 and 543 – Turnover of Property of the Estate, Chapter in print edition of Norton Annual Survey of Bankruptcy Law (2008), 2008 Ann. Surv. of Bankr. Law 32. Sections 363 and 364 – Use, Sale or Lease of Property and Obtaining Credit, Chapter in print edition of Norton Annual Survey of Bankruptcy Law (2007), 2007 Ann. Surv. of Bankr. Law 22. Sections 542 and 543 – Turnover of Property of the Estate, Chapter in print edition of Norton Annual Survey of Bankruptcy Law (2007), 2007 Ann. Surv. of Bankr. Law 29. Sections 363 and 364 – Use, Sale or Lease of Property and Obtaining Credit, Chapter in print edition of Norton Annual Survey of Bankruptcy Law (2006), 2006 Ann. Surv. of Bankr. Law 22. Sections 542 and 543 – Turnover of Property of the Estate, Chapter in print edition of Norton Annual Survey of Bankruptcy Law (2006), 2006 Ann. Surv. of Bankr. Law 28. Sections 363 and 364 – Use, Sale or Lease of Property and Obtaining Credit, Chapter in print edition of Norton Annual Survey of Bankruptcy Law (2005), 2005 Ann. Surv. of Bankr. Law 31. Sections 542 and 543 – Turnover of Property of the Estate, Chapter in print edition of Norton Annual Survey of Bankruptcy Law (2005), 2005 Ann. Surv. of Bankr. Law 38. Sections 363 and 364 – Use, Sale or Lease of Property and Obtaining Credit, Chapter in print edition of Norton Annual Survey of Bankruptcy Law (2004), 2004 Ann. Surv. of Bankr. Law 30. Sections 542 and 543 – Turnover of Property of the Estate, Chapter in print edition of Norton Annual Survey of Bankruptcy Law (2004), 2004 Ann. Surv. of Bankr. Law 36. Sections 542 and 543 – Turnover of Property of the Estate, Chapter in print edition of Norton Annual Survey of Bankruptcy Law (2003), 2003 Ann. Surv. of Bankr. Law 36.